Do your sinus symptoms hang on and on? Those headaches, the sinus pain and pressure, and the nasal congestion that just won't go away? You may be one of the estimated 37 million people suffering with chronic sinusitis each year. It may start out as a cold, but if your symptoms drag on past 4 weeks, you might be struggling with a chronic sinus infection. Sinusitis is a painful condition resulting from swelling of the sinus membranes. This swelling can block the sinus passageways, preventing mucus from draining. As mucus builds up in the sinus cavities, it stagnates, allowing organisms to grow and cause a sinus infection. The result is a variety of uncomfortable symptoms that can really make you miserable. If you want long-lasting relief from sinus infections but want to avoid invasive sinus surgery, balloon sinus dilation could be the solution for you! Traditionally, when prescription medication, nasal sprays and antibiotics failed to relieve chronic sinus infection symptoms, your only remaining option was an invasive, in-hospital sinus surgery with an uncomfortably long and inconvenient recovery. There is now a revolutionary approach to treating the underlying cause of sinus infections - balloon sinus dilation (balloon sinuplasty). It relieves your symptoms with a brief, minimally invasive in-office procedure that has long-lasting results. 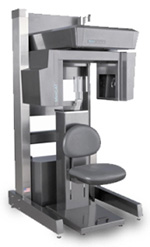 MiniCAT™ is a compact, upright CT scanner specifically designed for the sinuses and ears. One of the best ways to diagnose your sinus problem is with the help of a CT (computed tomography) scan (also known as a “CAT” scan). With MiniCAT™, we get fully digital 3D images of your sinuses and ears, which gives your doctor instant access to the information needed to diagnose the cause of your symptoms. With MiniCAT™, getting a scan is quick, easy, and comfortable. Adult scans take 40 seconds, pediatric scans take only 20 seconds, and the radiation dose is much lower than sinus and ear scans taken on full-body CT scanners.